Old Support Topics :: SOLVED Category Head Title Text, Change Color? SOLVED Category Head Title Text, Change Color? Category Head Title Text, Change Color? Does anybody know how to edit the color of this? 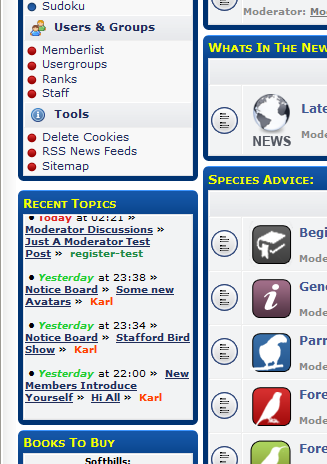 This would normally be named "Category head title text" or similar in older phpbb. Re: Category Head Title Text, Change Color? Trust me, it's in the css, it may be already have been discussed in the Templates and Style forum, where this post belongs. It's also an <a link - Best of luck, because to change that - you will change maybe a hell of a lot of things you didn't want to change - Unless you start adding "Different" classes.